ITA Barcelona is proud to deliver the internationally recognised Level 5 Certificate in TESOL with Teaching Practice awarded by TQUK. This means that when you study with ITA Barcelona you can rest assured you are gaining a TEFL Certification that is known and valued by English language institutes and employers all over the world. 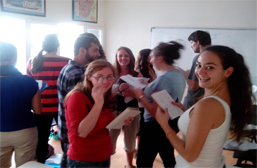 International TEFL Academy Barcelona is housed in BESS language academy. 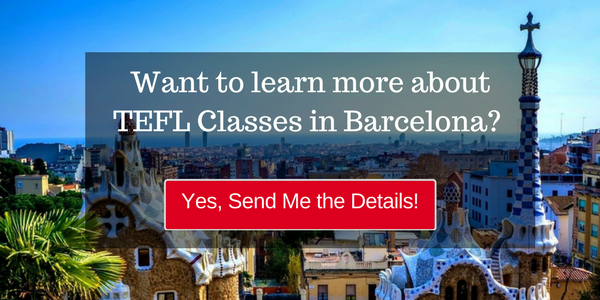 Founded in 1996, it is a small language and training organisation based in the Example neighborhood of Barcelona, offering a wide range of language education services. Depending on the time of year you come, there are classes offered in languages such as Greek, Bosnian, French, Italian, German, and of course, Spanish, Catalan and English. This enriches the experience of learning about other cultures and languages. A TEFL Certification that is recognised worldwide. Awarded by TQUK, an Ofqual regulated awarding body, you will gain a recognised Level 5 Certificate in TEFL. To study in a busy, professional language school. Small group sizes and personalised attention. An experienced team of TEFL staff that will support you throughout your stay. Assistance to secure a reputable teaching job in Barcelona, or the location of your choice. Today, ITA Barcelona has accumulated over 10 years of quality course provision, and a proven track record as a renowned and respected accredited TEFL course provider. You can rest assured that when you study with ITA Barcelona you are studying with an institute that meets the highest standards in TEFL training and recognition.